Origin and Habitat: Argentina. Endemic to the Córdoba and San Luis provinces. 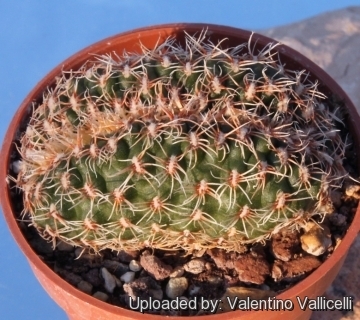 Description: This is a nice small crested cactus miniature that will slowly forms tangled groups up to 20 cm in diameter. Stems: Blue/green up to 6 cm thick. The ribs are vertical thin and scarcely elevated. Flowers: Bell to funnel-shaped, 6 cm wide, are an unusual shade of lavender-white in early spring followed by green fruits. 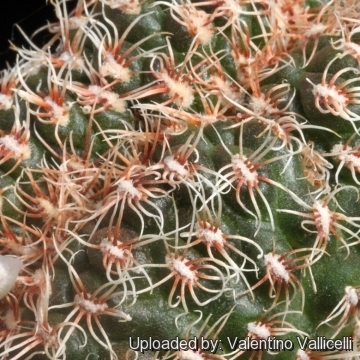 Gymnocalycium bruchii (Speg.) Hosseus: has blue-green stem to 4 cm in diameter, spines white bristly, flowers to 6 cm wide lavender-white. It's very variable. Distribution: Córdoba and San Luis provinces. Gymnocalycium bruchii f. cristata Hosseus: crested form. Gymnocalycium bruchii var. hossei Backeb. : has brownish spines. Gymnocalycium bruchii subs. matznetteri (Rausch) Neuhuber: form small growing clumps. Produces shiny white flower. 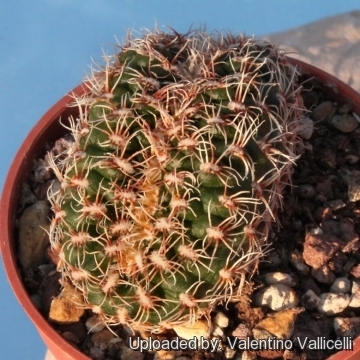 Gymnocalycium bruchii var. niveum Rausch: has small bodies covered by white bristly, straight or curved spines. Flowers pale pink the same size (or greater) as the plant bodies. Distribution: Córdoba and San Luis provinces. Gymnocalycium bruchii f. proliferum hort. : is a cultivated selected strain that branches profusely around the base, and forms soon a very dense mound with dozen of tiny stems. Garden origin. Gymnocalycium bruchii subs. susannae Neuhuber: has larger bodied, depressed at the crown and with a pale green epidermis. Distribution: Córdoba (north of Copina). Soil: Use mineral well permeable mineral soil with little organic matter (peat, humus). Prefer a low pH compost, otherwise growth will stop altogether. Exposure: The plant tolerates extremely bright situations but enjoys some shade during the hottest part of the day in summer. 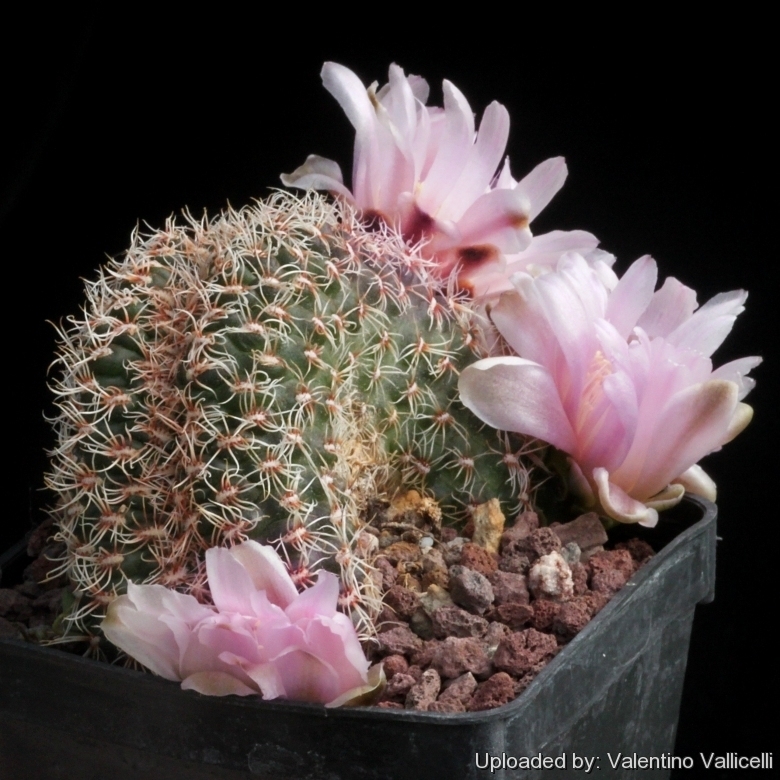 Hardiness: Gymnocalycium bruchii is one of the most cold-tolerant South American species. It can grow outdoors and is hardy to -15° C or less.